This year’s celebration of Human Solidarity Day comes after leaders of the world adopted the Sustainable Development Goals (SDGs), which is a new, inclusive development agenda — succeeding the Millennium Development Goals (MDGs) — to eradicate poverty, protect the planet and ensure dignity for all. 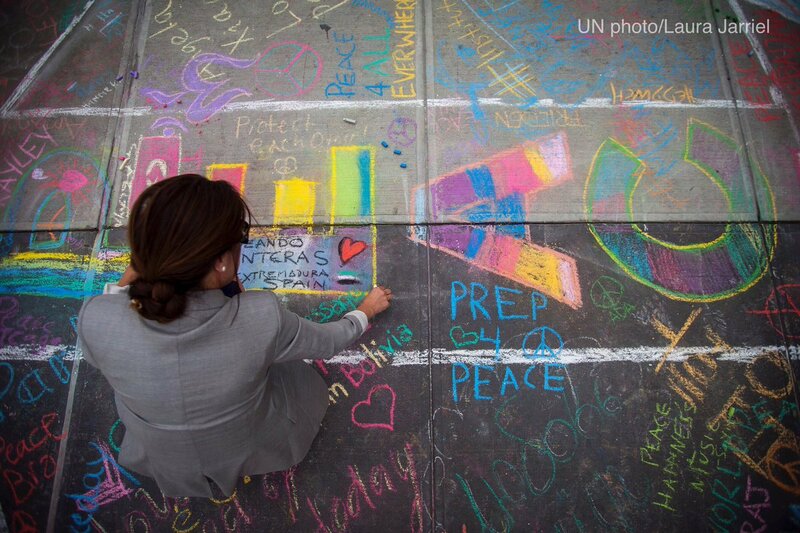 The new SDGs agenda is centred on people & planet, underpinned by human rights and supported by a global partnership determined to lift people out of poverty, hunger and disease. It will be thus be built on a foundation of global cooperation and solidarity. 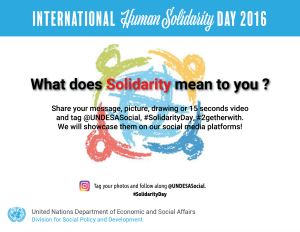 UNDESA DSPD is launching a campaign on 20 December 2016 on “What does SOLIDARITY mean to you?”. 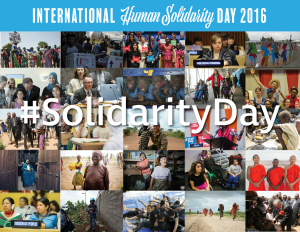 Please share your message, photo, drawing or a 15 second” video using hashtag #SolidarityDay or #2getherwith followed by the cause you support. We will showcase the best selection on our portal United Nations Social Development Network (UNSDN) and social media platforms!